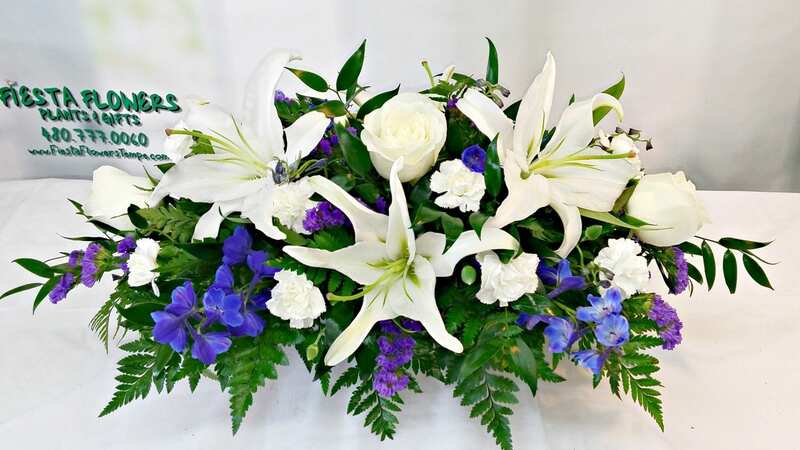 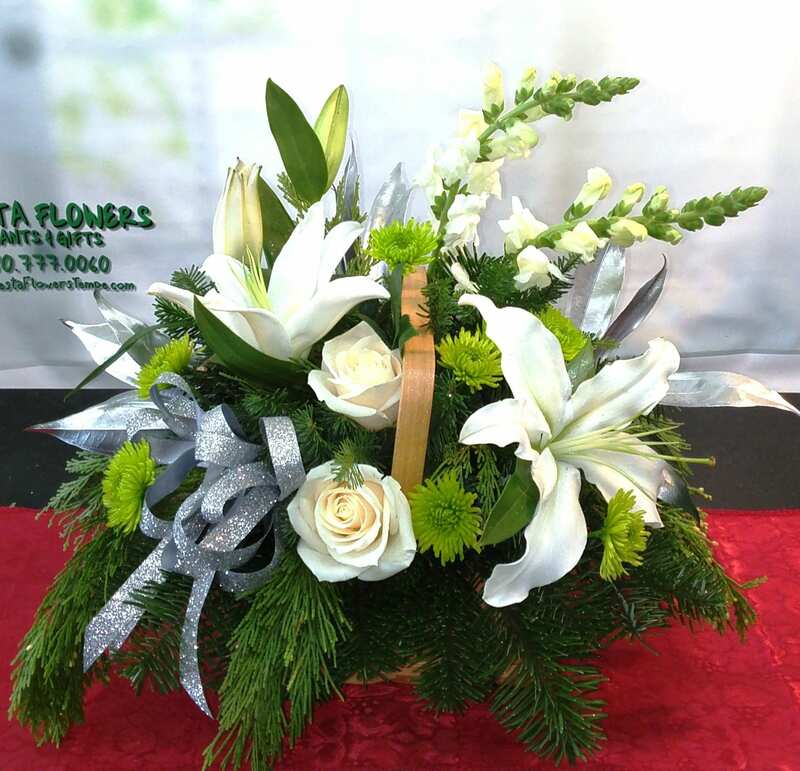 Our 24″ Bright Country Centerpiece is the perfect compliment for your delicious home cooked Christmas Dinner! 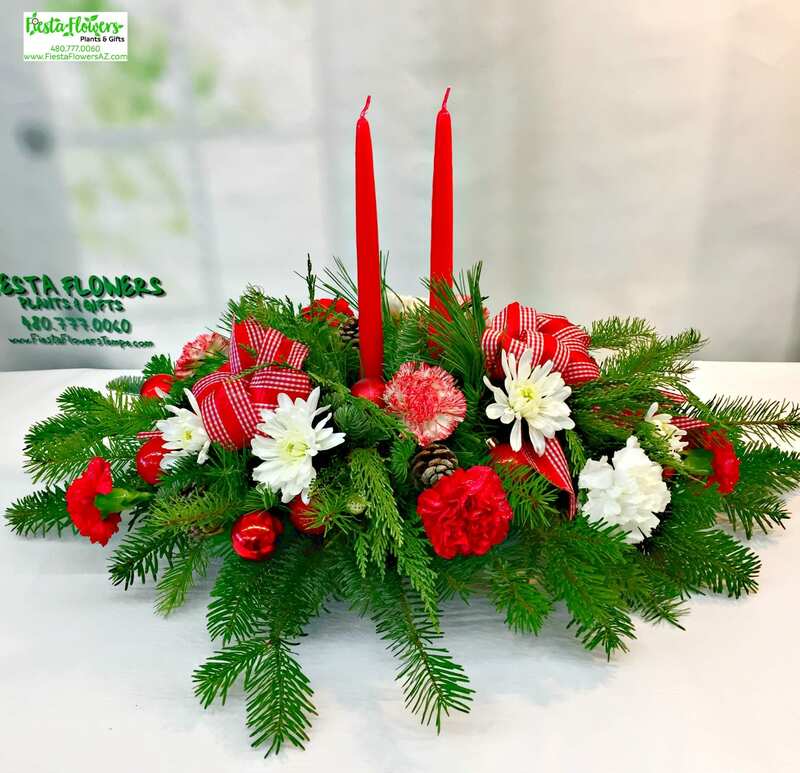 Bright ornaments, our favorite red and white checkered ribbon, white Mums and a mix of seasonal Carnations will bring Country to your table. 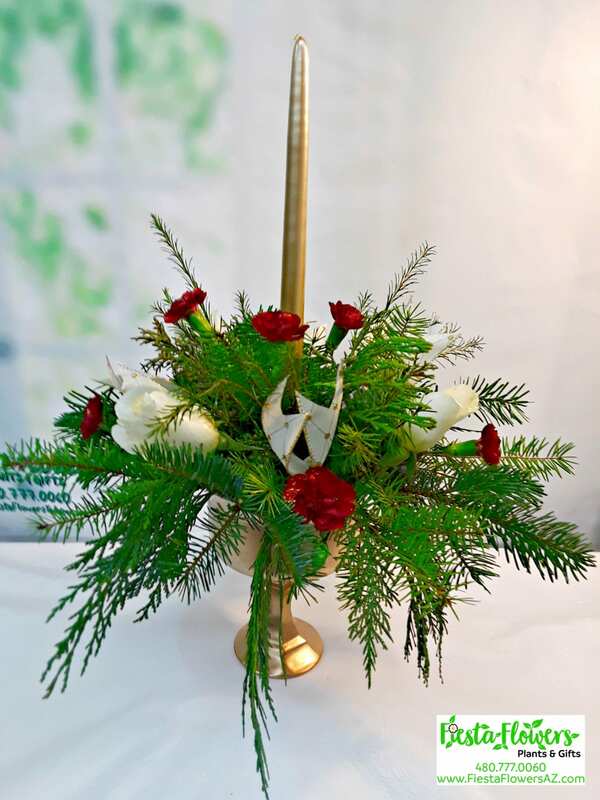 We have included a rich mix of Christmas Greens and Pine Cones to this arrangement in addition to two candles.